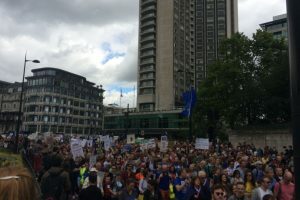 Tens of thousands of people took to the streets of London yesterday in a huge spontaneous outpouring of anger at a Leave campaign that won the referendum on the back of lies, bigotry and whipping up hate and fear. 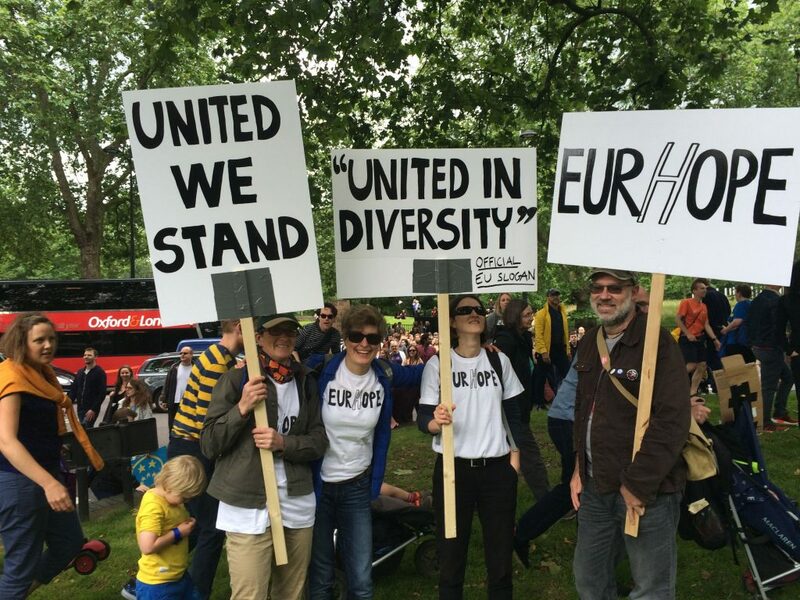 The “March for Europe” had been organised on Facebook. The event went viral as tens of thousands of people signed up. 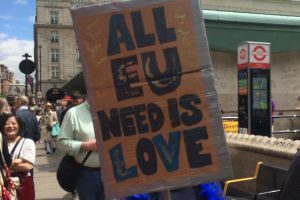 Demonstrators had a simple message: “Brexit on the back of racism and division? Not in my name!”. 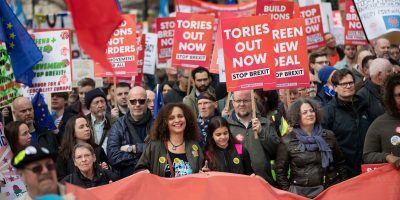 With thousands pouring into Parliament Sq across the afternoon, as many as 100,000 people may have joined the demonstration in a huge statement of internationalism and determination to not rest until the xenophobes and nationalists are defeated. “I’ve never been more fearful for my country. But when I see a crowd like this – so full of optimism, so full of resilience, so full of courage – I know this country has hope. “There will be those who smear us who say we are here attacking the millions of people that voted leave. So let’s make it clear. Our argument is not with those millions of people. Millions of people who have fears and concerns that have long been unaddressed by politicians. People I grew up with who have every reason to be angry with those at the top. Our argument is with an official Leave campaign that stirred up lies and bigotry. “Let us say to every immigrant in this country. Every single one who is scared because of where they are from or the colour of their skin. 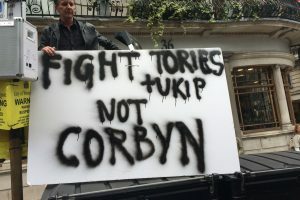 We will stand by you and we will defeat the xenophobes and racists. 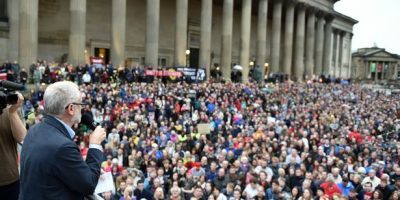 “In the coming weeks and months many Leave voters will see the lies they were peddled. They will see them for the lies they were. Many of those who will suffer most from the turmoil of Brexit are those that voted Leave. “I am here first and foremost as the son of immigrants. It is my honour and privilege representing Tottenham to represent the most diverse constituency in this country and I’m proud. 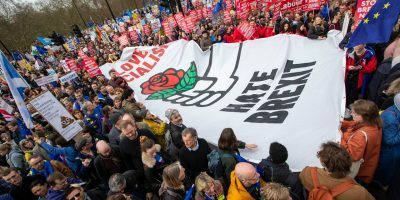 These anti-racist themes dominated the march that was strongly progressive, pro-immigrant and committed to carry on the fight to keep Britain in Europe. The movement is inchoate and diverse. It is yet to establish how exactly to continue the campaign to defend free movement, but clearly committed to do so. 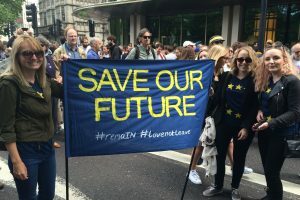 “Many of the marchers have asked Parliament to see the referendum as advisory and vote against Brexit. “We understand these feelings, but we think that would be the wrong approach to take. Let us instead – as we continue to build our mass movement – insist that the terms of exit once negotiated be put to a referendum of the British people, with an option to remain if they don’t accept exit on the lines offered. “Leave won on the back of a pack of lies. Instead of triggering Article 50 immediately the new Prime Minister should informally negotiate the exit terms. Demonstrate again next Saturday. 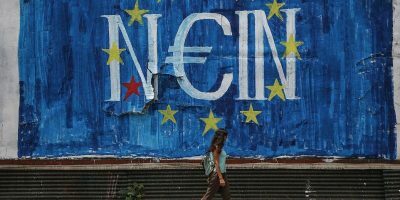 Join the ‘Rise up for Europe’ protest. Exit on what terms? We demand a say. 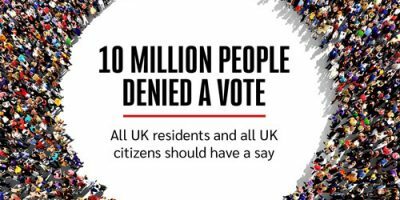 Write to your MP and ask them to back the Early Day Motion calling for a new referendum once an outline of the terms of exit have been negotiated.